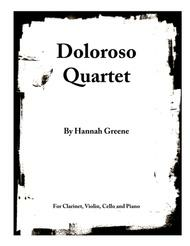 Doloroso is Latin for sorrowful. The cello was chosen as the primary expressive instrument to describe this emotion. Combined with violin, clarinet, and piano, the four instruments stretch the tempo as a key element to express sorrow. The piano gives weight to the seriousness of the emotion by utilizing the lower register. 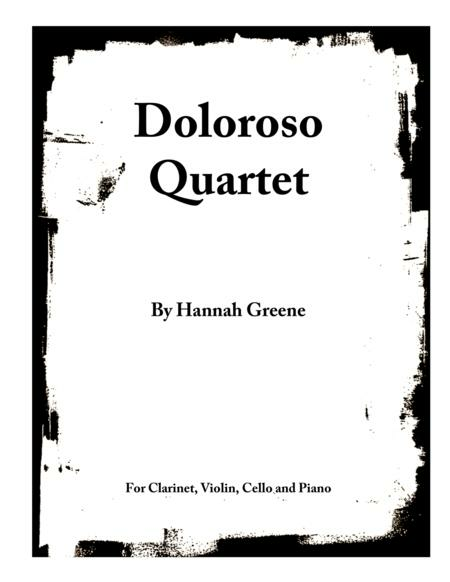 The timbre of the clarinet adds its own melody of sorrow and the violin reaches up to the heavens in a cry for help.Premiere of the Doloroso Quartet: https://www.youtube.com/watch?v=zuiVtoGVBhkBack to School 2015.